Marketers find different ways to advertise their products on various platforms. Today video has more power than other media form to promote or convey the brand message to the audience. So, marketers are competing with the technology and utilizing the new features. They always are updated with the new features and especially with the Google updates. We all know how important the Google updates is and the Youtube platform in the modern online marketing and advertising space. When comes to e-commerce space you might know about the shopping ads that displayed in the search results with a price tag that redirect the link to the purchase page. This type of ads are more productive than any other advertisements that are featured by the Google. The Google shopping ads are just a way to 25 percent of the click rate in the paid search clicks. 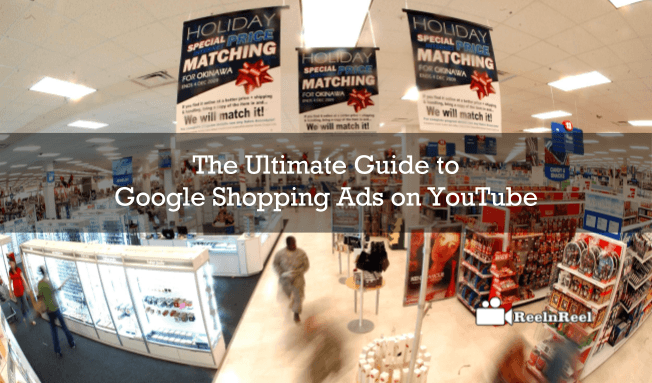 Well, let us go through the Google shopping ads and its integration with the Youtube platform and how you can utilize the Google shopping ads for your business advertising. Here we go. Google Shopping ads are nothing but a form of ads that redirect the user when they click on the displayed ad in the search result with price and website address. It was placed in the search query results that appears at the top of the results displayed while searching on Google search engines. They are very efficient as they are displayed with the high-quality images with the price tag and appropriate web address that directs to the buying page. As it appears at the top of the search engine results, it covered the top priority slot in ads. Google made several efforts to make the retail and video advertising on one line at one place. Today retailers can manage their shopping ads on YouTube platform. Instead of creating and managing the particular section for the optimization of campaigns the retailers can manage the ads with ease. It is a brilliant step taken by Google as it also raised new targeting methods for the marketers and businesses to reach their audience and to boost their sales potential with the Google shopping ads. The new step of integration of Google shopping ads on YouTube platform is definitely and clearly a revenue element to the retailers. It enhances the interactive experience for buyers, and they can immersive the product experience that are placed on Youtube platform. Customers can purchase the necessary products they are interested in buying simply from the videos itself. It enhances the power of video to the next level. YouTube has previously introduced cards feature for the retailers that provide them an opportunity to insert the information about their products within the video content across multiple screens. The Google shopping ads on Youtube is just similar to the electronic cards feature which connects the merchant center of Google to the right view campaign feed. It allows the insertion of product cards in the in-stream video ads basing on the products that have the capability to get good leads. Google finally expanded its flexibility by experimenting the integration of the Google shopping ads on YouTube platform. Marketers can have good chance to go with a product-focused content on the Youtube platform which includes product reviews, unboxing content etc. The Shopping ad on YouTube allows the advertisers to display the click to buy the type of buttons in the videos. It helps to create a digital storefront for the viewers where they can buy the necessary things directly from the video watching by just clicking on the ads displayed in the video with a clickable link. This integration has enhanced the abilities of the retailers reach on YouTube platform with Google shopping ads. They can get the capacity to reach millions of people across the web. By creating a good campaign, the retailers can reach the audience with ease. All the efforts they should keep is in planning the campaign and designing the campaign for the better implementation of the same to reach the marketing goals. The targeting is also simplified with this feature where the retailers can focus on their campaign itself and nothing else as the primary or main thing to do. The Ad targeting is also get simplified with the integration of the Google Shopping ads on YouTube platform. The advertisers can target the customer content using the Google Ad words which are a new feature called customer match. The Google customer matching was designed favorable to the retail marketers where they can strengthen the connections with the potential customers basing on the Google search. It is also helpful them to fetch new relation with the customers and can expand the customer base with ease. The video is available on the Google Ad Words where the advertisers can optimize the video campaigns and can achieve the good advantage with the management tools which can help them, working on multiple review campaigns. Retailers can find the ‘Campaign’ type in the selection, and it was useful to check the campaign type and advertisers can access the tabs and the columns that are relevant and helpful in managing the campaigns. Google had replaced the targeting groups with the Ad groups option. It is very useful to manage the search, display, and shopping campaigns. Campaigns can go with the multiple ad groups. So, the advertisers can start displaying and in-stream ads in the same campaign. Different tools set like bulk UI editing, uploads, scheduling and reporting the video campaigns are the new tools and the best feature for the retailers that can fetch them better sales conversion rates. The video remarketing can be accessed in Ad words and links to YouTube account in the linked accounts section. Retailers can access the analytics of their video ads in video tab and manage in video targeting tab.